The 2017 haunt season wouldn’t be complete without a trip to Georgia, purportedly one of the most haunted states in the US. 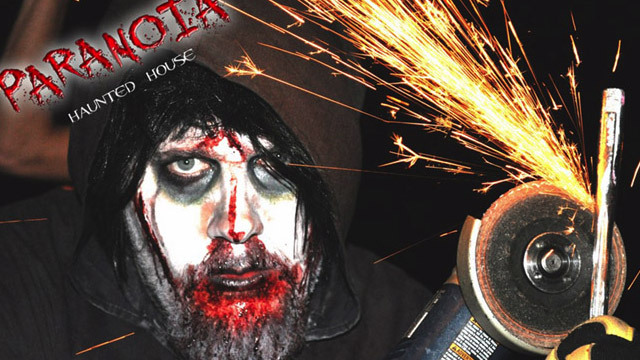 If you’re feeling rather brave, make the drive and double down on your fears to check out our top pick, Paranoia Haunted House in Canton. New for 2017 is Experiment X, where visitors will join a team on a reconnaissance mission to scour the property for the elusive and deranged Dr. Tobias Warner. Beware though; Dr. Warner’s ghoulish experiments may still lurk the property. If you don’t need a change of underwear after that, you can make your way to the Slaughter Shack, where you’ll learn urban legends aren’t always just the stuff of stories. Paranoia Haunted House maintains a solid 4.5 star rating with hundreds of reviews, and 5 star ratings are already pouring in for the 2017 season. Be there or beware! Two all-new attractions for 2017 — Do you dare brave Primal Scream and Mr. Grendel’s 3D Funhouse of Horrors, in this, our Final Season in Norcross, GA? 3 attractions including The Last Ride, a burial simulator! Legend has it that there is a 13 Story tall haunted house so horrifying that you have to sign a waiver to get in.